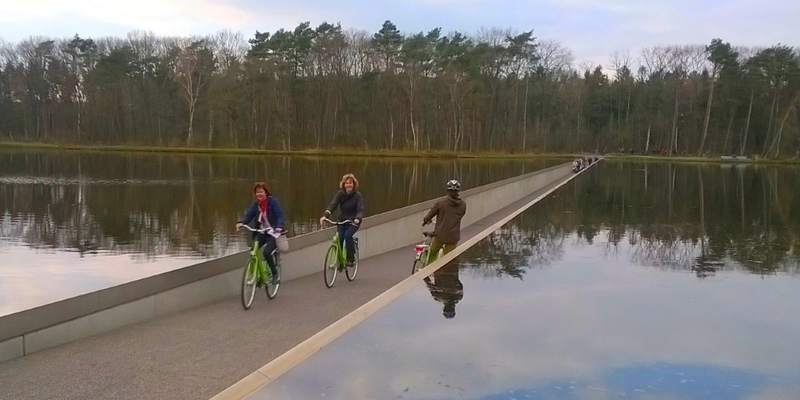 Thanks to the concept of 'cycle nodes', you arrive at the most beautiful places in Belgium and the Netherlands in an extremely safe way. 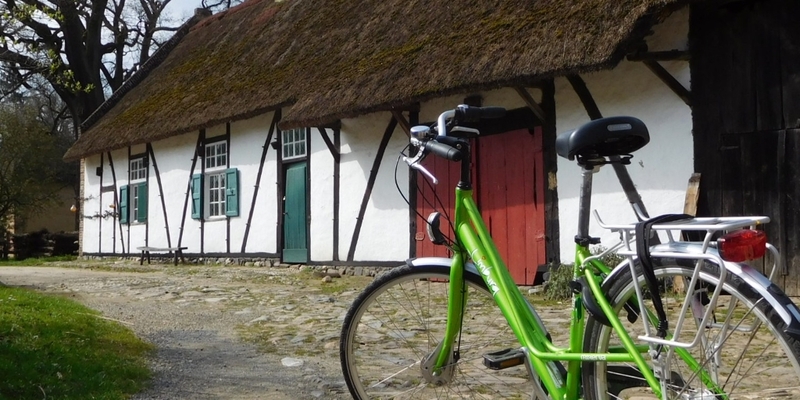 The tailormade bike tours by AAB accompany your groups in the region of their choice. You tell us in which region you want to cycle, which day distances are feasible, which are the interest points of the cyclists. With your data, AAB will be happy to present you an original tour, entirely to your wishes. The concept of 'cycle nodes' was invented by a Belgian mining engineer. Nodes initially suggested that miners found their way underground. In 1995, the principle was also applied above ground in the province of Limburg and was the first cycle network to be born. 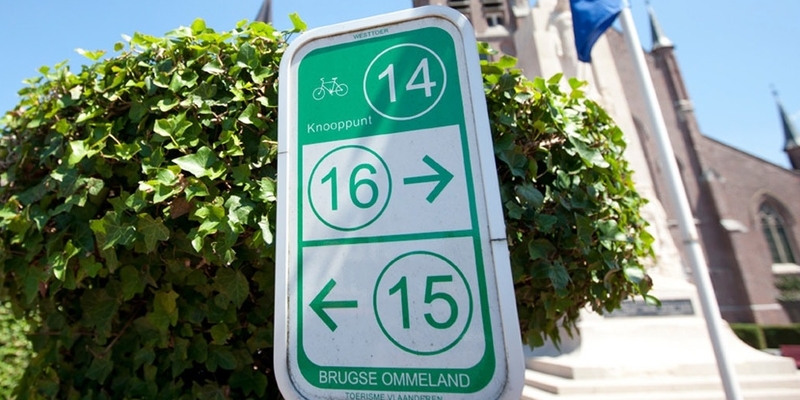 Meanwhile, Flanders and the Netherlands are fully covered with the well-known bike node signs and you have as much as 12,000 km of signposted bike paths as a cyclist. 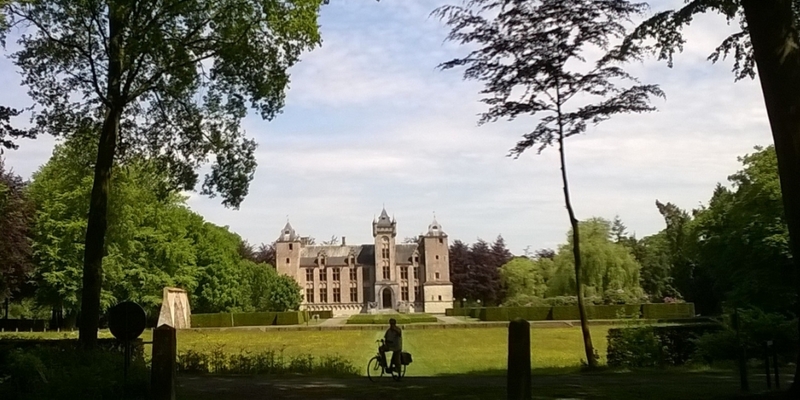 Highlights: You will pass by several castles before entering the city of Bruges. Free time to discover the old town. 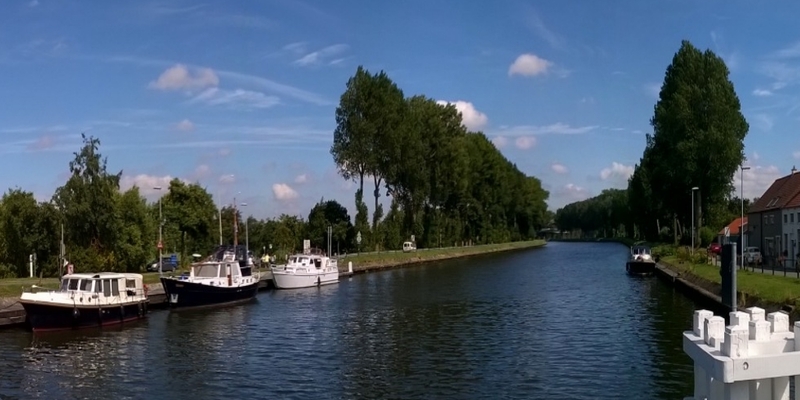 Highlights: The Damse Vaart (canal) will be your guide for the first kilometers. You will pass the border between Belgium and Holland to visit the small town of Sluis. Back in Belgium, the tour for today ends in the natural reserve of Het Zwin. Free time in Knokke to enjoy the Belgian coast. 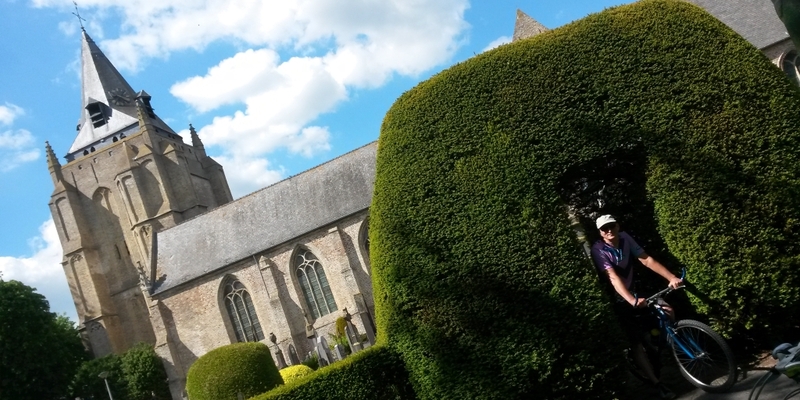 Veurne is a pleasant shopping city a stone's throw from the coast and the French border. It is mostly known for its high-quality products. 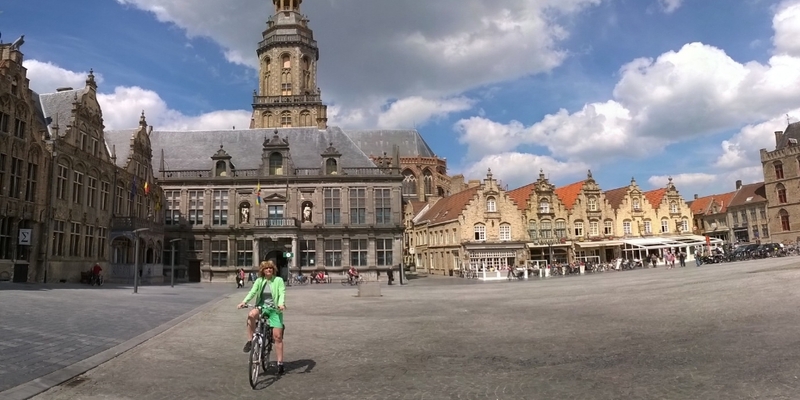 But Veurne has also interesting history, art and culture. The Moers were only drained in the 17th century. The area is still below sea level and excess water is being pumped up to higher areas and discharged. The landscape is characterized by straight roads lined with trees and square or rectangular plots. 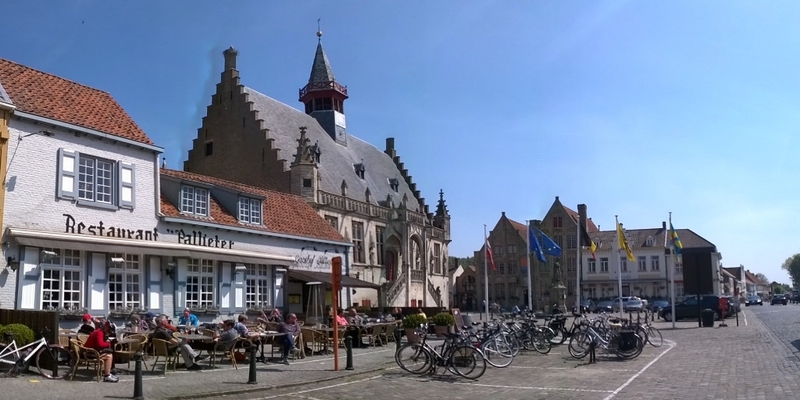 Poperinge is located near the French-Belgian border and is called the hop capital of Flanders. A mere stone's throw from the city of Ghent, in a bend of the river Leie, sits elegant and majestic Ooidonk Castle. 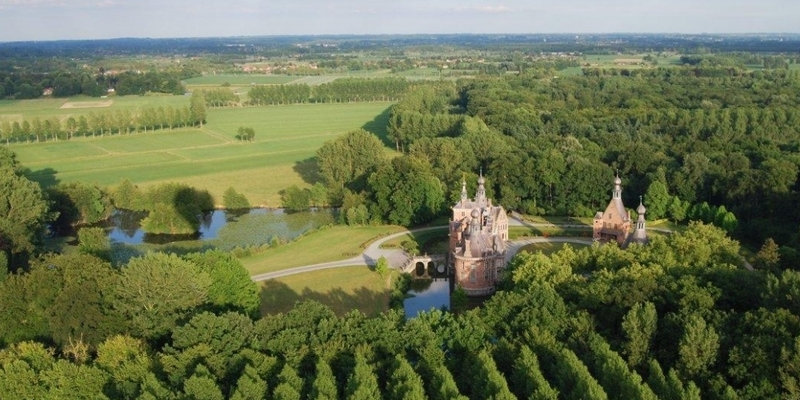 As a unique example of the Hispanic-Flemish architectural style that emerged during the Renaissance, this medieval fortress, rebuilt in 1595, is widely considered as one of Belgium’s finest castles. 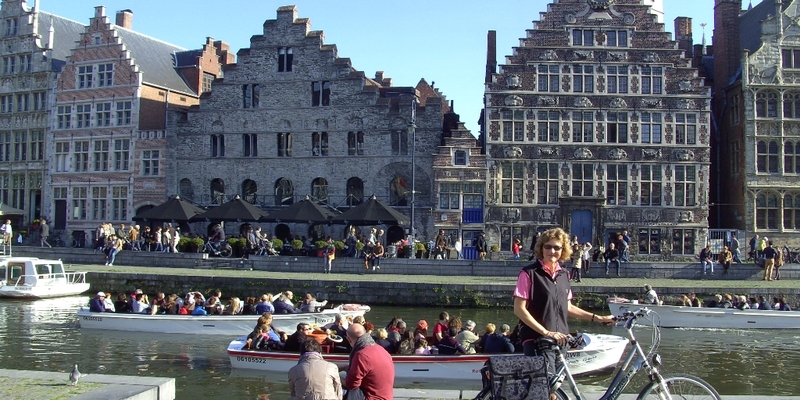 During the Middle Ages, Ghent was one of the richest and most powerful cities in Europe. By bike you come along remote roads, small paths and low-traffic streets where you never come during a guided bus trip. On Day 3, the abbey of the Trappist is on your road. Not only does Westvleteren produce the least of all the Trappist breweries, but its beer is also the hardest to get. The beer is available at either the abbey's In De Vrede cafe or at the drive-thru pick-up gate after a reservation made at least 60 days in advance. Good luck ! 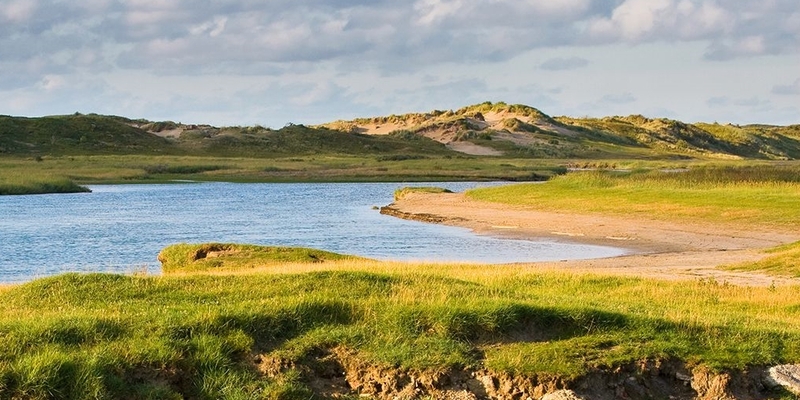 De Biesbosch, a wonderful nature reserve, the historic cities of Breda and 's Hertogenosch, and small towns like Heusden, Woudrichem and Gorinchem.